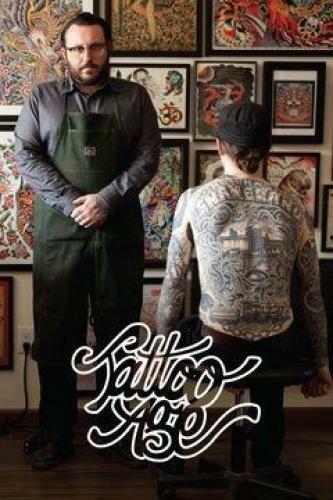 When will be Tattoo Age next episode air date? Is Tattoo Age renewed or cancelled? Where to countdown Tattoo Age air dates? Is Tattoo Age worth watching? Chris Trevino may be as Texas as they come, but his career as a tattoo artist brought him all the way to Japan to after being inspired by Horiyoshi III, the ambassador of traditional Japanese tattooing. Trevino, known as one of the most obsessive artists in the industry, spent years in the country intensely channelling his mentor's work. When he returned to the States, he combined the traditional Japanese technique with the bright, bold colors and graphics of Texas traditional tattoos to champion his own unique style. Tattoo Age next episode air date provides TVMaze for you. EpisoDate.com is your TV show guide to Countdown Tattoo Age Episode Air Dates and to stay in touch with Tattoo Age next episode Air Date and your others favorite TV Shows. Add the shows you like to a "Watchlist" and let the site take it from there.